Seven-week-old Ahsir Simmons was taken from the Philadelphia shopping centre. POLICE SAY A baby boy who was kidnapped from an upscale shopping centre in suburban Philadelphia has been found safe, and a suspect is in custody. 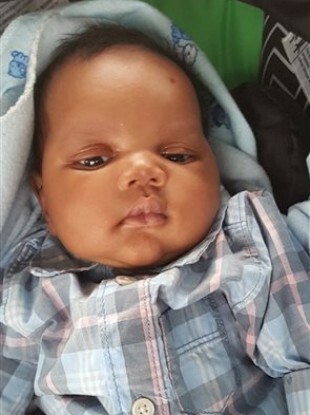 Upper Merion Township police say seven-week-old Ahsir Simmons was found safe Thursday night, about five hours after he was abducted from the King of Prussia Mall. Police say a woman befriended the boy’s family, and they sat down together in the food court. When the baby became fussy, police say the woman asked if she could hold him. The mother allowed her to do so while she took a phone call and dealt with other children in her care. The woman then walked away with the baby. Authorities received tips that led them to nearby Tredyffrin Township, where the woman and child were found. Email “Seven-week-old baby kidnapped from shopping centre as his mam took a phone call”. Feedback on “Seven-week-old baby kidnapped from shopping centre as his mam took a phone call”.